This debut collection is a triumph. Eerie and mysterious with questions often left unanswered and the revelations all at an intimate personal level. 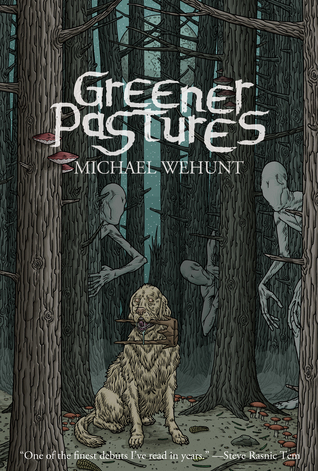 Full of originality and dread, Wehunt never forgets that stories are about people, no matter how big, or uncaring, the universe is that surrounds them. Many of the stories are about loss and the emotional turmoil felt by those left behind, but each story is a unique gem filled with hidden secrets and treasure and the occasional door that should not be opened. As you can see by the great Michael Bukowski cover, other things lurk as well. This collection contains eleven stories. I can't wait for the next batch to appear.